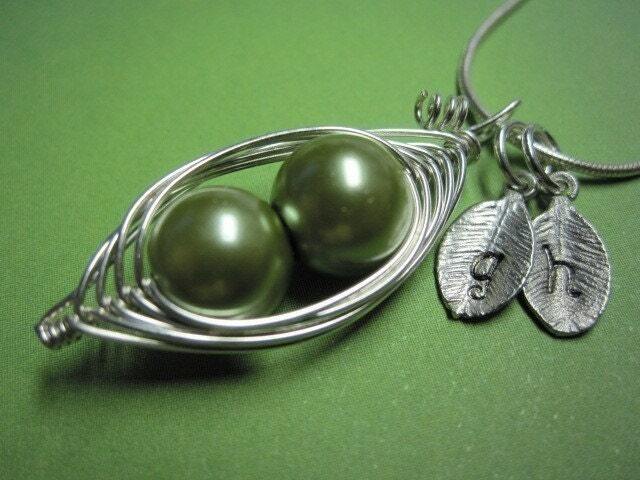 The perfect pea pod necklace for a loved one, a new mom, a sister, a grandma, or a best friend with hand stamped initial leaves to make it even more personal! 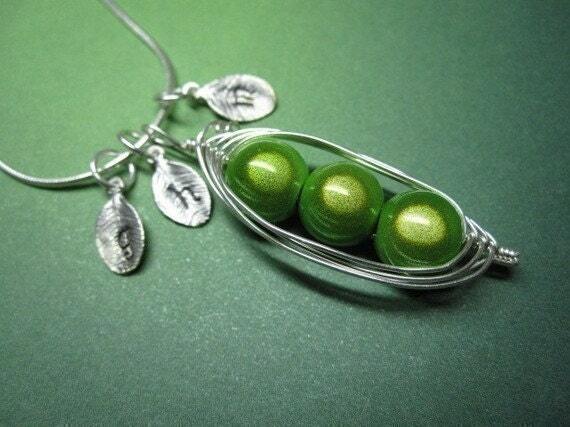 This lovely design of sweet little peas are all nestled in their pod is sure to receive some notice! 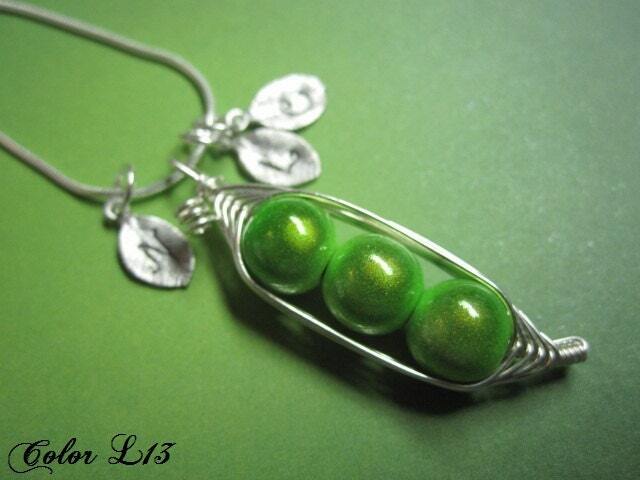 You choose how many peas your pod will have. . . 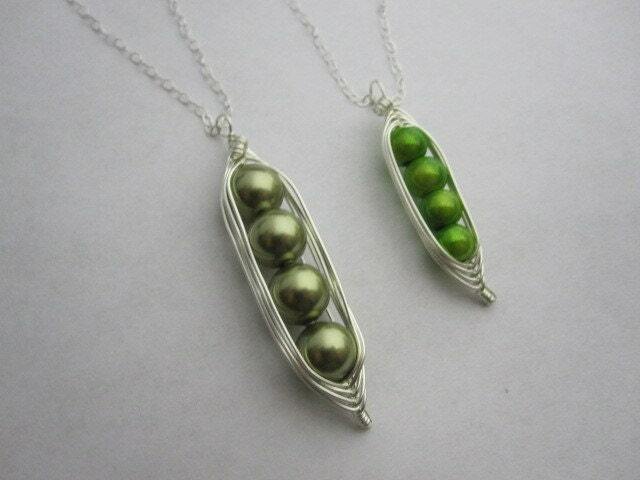 I make the pea pod necklaces in two different sizes: regular and petite. 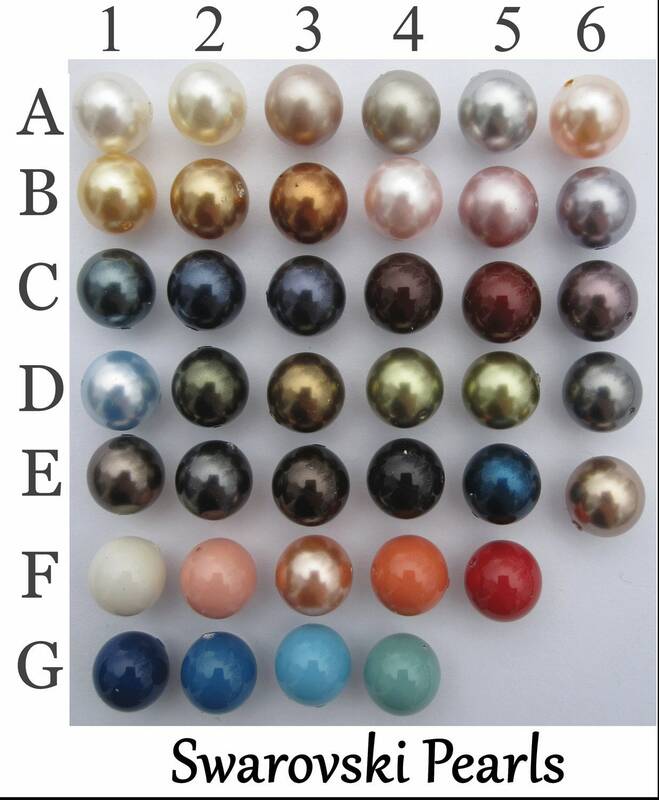 This listing is for a regular sized pod, unless you let me know that you would like the petite. 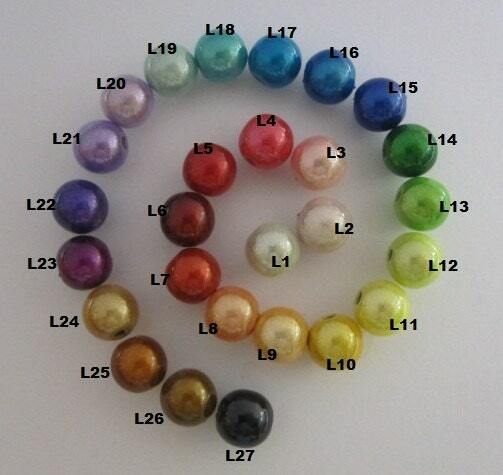 The regular "peas" are 8mm and the petite are 6mm. © 2009-2012 A Lovelly Design. All Rights Reserved.